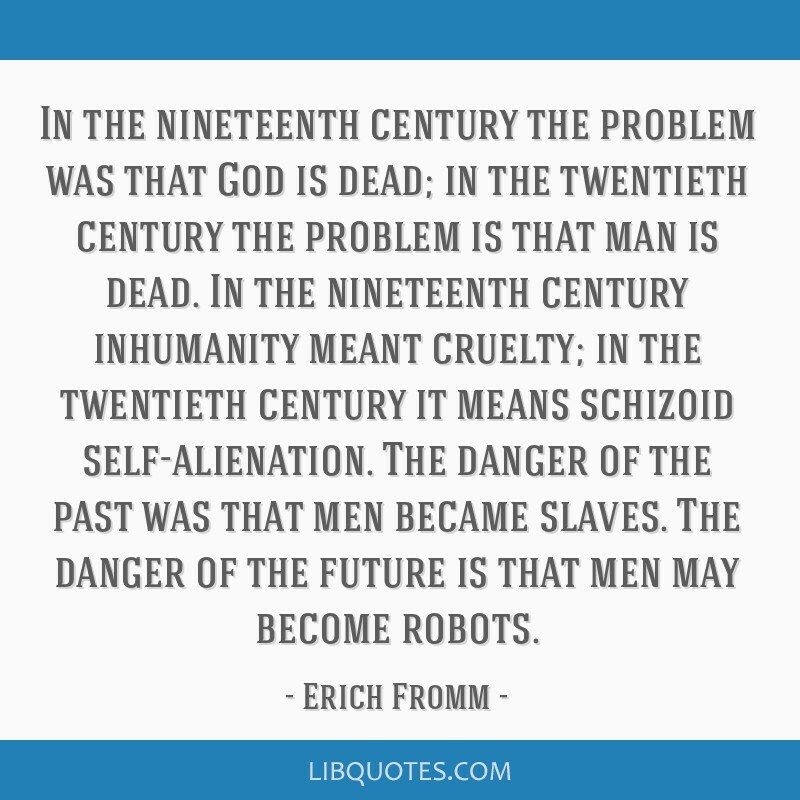 In the nineteenth century the problem was that God is dead; in the twentieth century the problem is that man is dead. 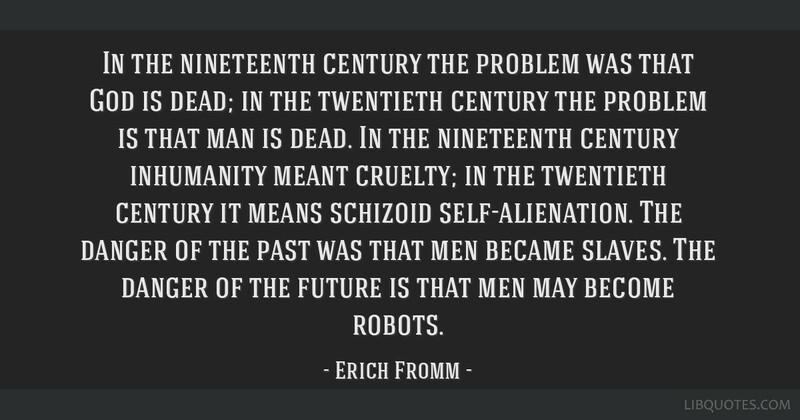 In the nineteenth century inhumanity meant cruelty; in the twentieth century it means schizoid self-alienation. 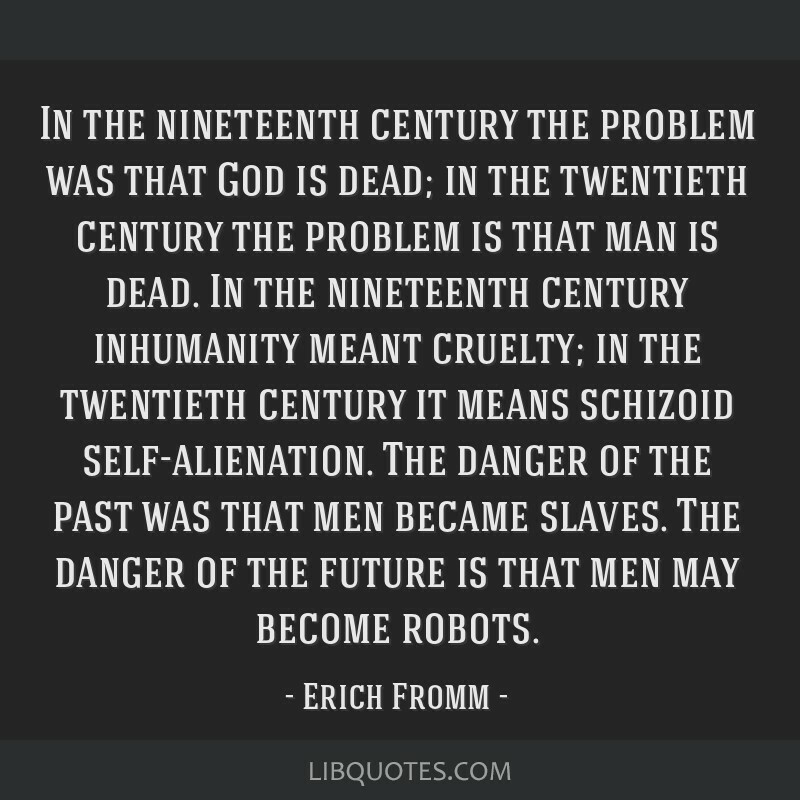 The danger of the past was that men became slaves. 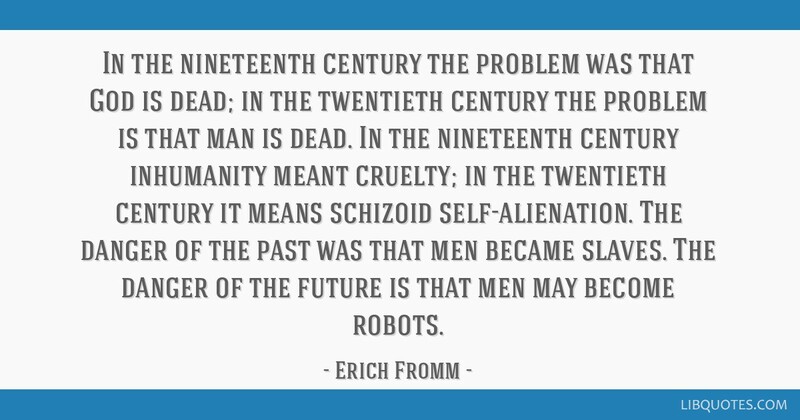 The danger of the future is that men may become robots.